The biomechanical properties of the paravertebral muscles are assessed. Paravertebral muscle tone and stiffness are greater on concave side. The asymmetric characteristics are related to the severity of scoliosis. Methods: The MyotonPRO® and shear wave elastography (SWE) imaging system were used to assess the biomechanical features of the thoracic paravertebral muscles on concave and convex side in adolescent idiopathic scoliosis patients with Lenke 1-3 curves. The Cobb angle of the main curve was measured using the anteroposterior whole spine radiograph in the standing position. 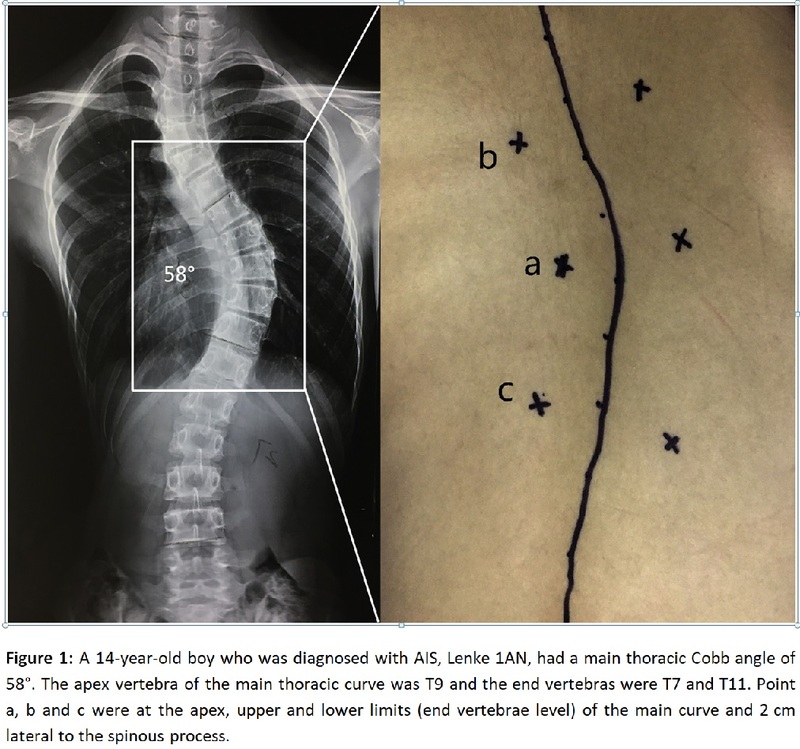 Findings: A total of 40 adolescent idiopathic scoliosis patients with a mean Cobb angle of 66.49° (SD 32.8°) were included in this study. Muscle tone, stiffness and Deborah number on the concave side was significantly greater than that on the convex side. Relaxation time was significantly longer on the convex side than on the concave side. No statistically significant difference in muscle elasticity was observed between the concave side and the convex side (P > 0.05). Pearson correlation analysis demonstrated that stiffness on the concave side was moderately positively correlated with the Cobb angle (P < 0.05, r = 0.582); the Deborah number on both sides and the relaxation time on the concave side showed a moderate negative correlation with the Cobb angle (P < 0.05, r = −0.632; r = −0.432; r = −0.611). Interpretation: Concave paravertebral muscle tone and stiffness were greater than those on convex side in adolescent idiopathic scoliosis patients. The asymmetric biomechanical characteristics of paravertebral muscles are closely related to the severity of scoliosis. Clinical relevance: It remains unknown if the biomechanical characteristics are related or not to paraspinal muscle strength in scoliosis patients. This hypothesis needs to be evaluated in future studies because paravertebral muscle strength plays an important role not only in the progression of scoliosis but also in the physical therapy treatment protocol in AIS. Therefore, MyotonPRO® technique could be used to observe the changes in biomechanical properties of paraspinal muscle during the curve progression and evaluate the efficacy of different therapeutic interventions that aim to reduce muscle stiffness in AIS. MyotonPRO and SWE: To our knowledge, this is the first combined application of MyotonPRO® and SWE technique to assess the biomechanical properties of scoliotic paravertebral muscles. The current study indicates that these techniques have particularly good feasibility and consistency. In the future, the prospects for the wide use of the MyotonPRO® and SWEI techniques appear to be bright. For example, it may be helpful in the diagnosis of scoliosis with asymmetric back pain. Keywords: Adolescent idiopathic scoliosis, Paravertebral muscle, Biomechanics. In conclusion, the biomechanical properties of the convex and concave paravertebral muscles in AIS were found to be different, except for the property of elasticity. Currently, the biomechanical properties are correlated with the severity of scoliosis. 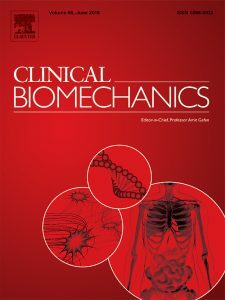 Even though identifying the root cause of the biomechanical asymmetry between the two sides continues to be a challenge, this study will help us to assess and recognize AIS more comprehensively and deeply.